The global high potency active pharmaceutical ingredient (HPAPI) market is expected to reach US$25.1 bn by the end of 2023. This market was recorded at US$12.6 bn in 2014 and is exhibiting a CAGR of 7.80% between 2015 and 2023, according to a research report released by Transparency Market Research. 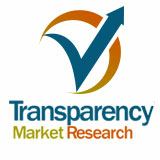 The report, titled “High Potency Active Pharmaceutical Ingredient (HPAPI) Market - Global Industry Analysis, Size, Share, Growth, Trends, and Forecast 2015 - 2023,” takes into account multiple factors that influence this market at present, as well as those that are expected to influence it in the near future. Targeted therapy is a relatively new aspect of cancer treatment. It helps medical professionals make use of new drugs that can specifically target cancer cells while doing little to no damage to healthy cells. It is an increasingly popular field of research and development in the medical industry and the global high potency active pharmaceutical ingredient (HPAPI) market forms a major aspect of it. APIs or HPAPIs are heavily used in targeted cancer therapy. The primary driver for the global HPAPI market, therefore, is the advancement made in its use in the field of oncology. The report segments the global HPAPI market in terms of therapeutic areas into oncology, cardiovascular, anti-diabetic, musculoskeletal, central nervous system, and others. Within these, the market is led by the segment of oncology therapeutics, which occupy over 50% of the market currently. Manufacturers are improving their capacities in order to meet the increasing demand for HPAPIs in oncology. The developments regarding HPAPIs in oncology are also boosting the global HPAPI market and allowing it to gain a higher percentage of the global pharmaceutical ingredients market, although it currently holds a very small share in it. Other segments of the global HPAPI market are made by the report according to various criteria, including synthesis, manufacturer type, product type, and geography. In terms of the types of manufacturers, the global HPAPI market is segmented into third-party manufacturers and in-house manufacturers. In terms of product types, the market is divided into generic HPAPIs and innovative HPAPIs, while it is divided into synthetic and biotech HPAPIs on the basis of synthesis. A major restraint on the global HPAPI market is the pending expiration of major patents, including the ones for Rituxan, Remicade, Humira, Erbitux, Synagis, Herceptin, and Avastin. The report’s geographical assessment of the global HPAPI market shows the majority of the market and player base to be housed in North America and Europe. Earlier situations and legal restrictions had discouraged North American players in the HPAPI market from getting outsourcing support from Asian countries. But legal implications have smoothened out over time, which has allowed a larger number of key players to spread their base across Asia Pacific. As a result, this region is expected to show the fastest growth rate in the global HPAPI market over the given forecast period. The key players in the global high potency active pharmaceutical ingredients market are WuXi AppTec, Sigma-Aldrich Co. LLC, Pfizer, Inc., Sandoz International GmbH, Novasep, Lonza Group, Dr. Reddy's Laboratories, Cambrex Corporation, and Alkermes plc.